The Chairman of the All Progressives Congress Governors’ Forum and Imo State governor, Rochas Okorocha has revealed what the governors resolved after their meeting with President Muhammadu Buhari on Wednesday. The Governors met with Buhari to discuss issues relating to tenure extension for the John Odigie-Oyegun-led National Working Committee, NWC. Okorocha said members of the party leadership, who wish to re-contest are free to do so, adding that the party is set to go for victory in the 2019 general elections. He said, “Let me correct one impression, the issue of congress and convention does not mean that the previous people who have served the party have done badly. And it does not mean that they cannot come back or that they cannot re-contest, that is not it. “We are simply saying that their tenure has ended and those who wish to re-contest can re-contest and can be elected into our party structure. So, we are all one as family and we are set to go for 2019 elections in victory,” Okorocha said. 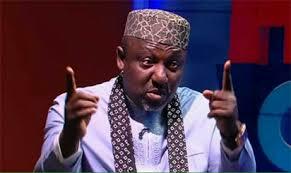 The Imo governor added: “I just want to let you know that there is no crisis in the APC at all. And we want to use this opportunity to advise the media operatives to stop spreading rumors of crisis in APC. There is no single crisis in APC. “The issue was one of people who believe that we did not have enough time to organize a party congress and run election.